The downfall of the Siddaramaiah-led Congress government in Karnataka began with his move to turn Coorg (Kodagu) into a ‘communal laboratory’ by deciding to celebrate the birth anniversary of the controversial 18th century Mysore ruler Tipu Sultan. Though the two sitting BJP MLAs from Coorg were very unpopular, they were re-elected in the recent Assembly elections, mainly because of the ‘Tipu factor’. The Congress lost the just concluded election to Karnataka Assembly. 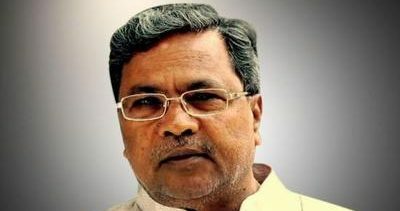 Two persons were killed in Coorg in the violence three years ago after Siddaramaiah government decided to celebrate the Tipu birth anniversary to appease the Muslim voters. Tipu was a detested historical figure in Coorg as he had committed atrocities and ordered mass conversion of Kodavas (Coorgs) into Islam. Siddaramaiah should take the blame for communalizing Coorg by sowing the seeds of suspicion among the peace-loving people. The BJP cashed in on the Tipu factor as it was handed to them on a golden platter by Siddaramaiah. This helped the saffron party as they were bent on polarizing the Hindus and Muslims, especially in Coorg, Mangalore and parts of Mysore. The issue paid maximum dividend to the BJP in the ‘Tipu belt’ in the recent Assembly elections as the BJP bagged the maximum seats. The sitting BJP MLAs in Coorg were very unpopular as they had supported the various lobbies, mainly the timber lobby. The duo had not raised their voice when large-scale plunder of forests had taken place. There was so much opposition to their candidature, and the name of the Virajpet MLA, K.G. Bopaiah, figured only in the third list of candidates announced by the BJP leadership. The BJP MLAs should realize that they were not elected due to their merit or popularity, but only on account of the ‘Modi factor’ as they benefited from the election campaign launched by prime minister Narendra Modi in Karnataka. On a lighter note, brand Tipu was jinxed from the beginning and Siddarmaiah should have known about it. Liquor baron Vijay Mallya who bought the Tipu sword had to flee the country and actor Sanjay Khan who made a television serial on Tipu suffered serious burn injuries when the film set caught fire in Mysore in which several persons perished in 1990s. Hope the next government in Karnataka will discontinue the Tipu anniversary.